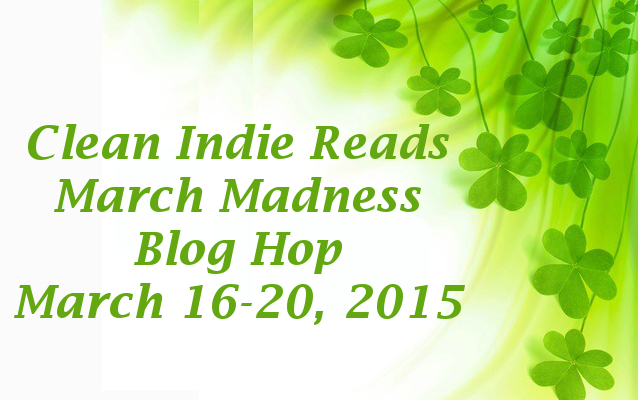 Two of my books are part of the Clean Indie Reads March Madness Sale this week. Check it out, not just for my books. There are a lot of great reads on sale. And check out the other blogs on the blog hop, too. Here. There’s also a giveaway of several of the books in the hop–including The Bard’s Gift. Enter that here. Though raised as a fearless, faceless warrior, Casora couldn’t stop her homeland’s invasion. Bullied, hapless princeling Tiaran can’t escape his political doom. When they join forces on the battlefield they’ll rock the foundations of kingdoms. Casora restrained the impulse to get up and pace across the floor of the command tent. She couldn’t show emotion, not even frustration, in front of her troops, but the continued silence from home was troubling. She reached up to rub the little scar above her right eyebrow. She glanced up at the mountains visible through the open tent flap. The snow crept lower every day and so did her hopes of a recall order to let the troop over-winter at home. Casora dreaded the prospect of a winter stuck in camp with a troop made up entirely of homesick teenagers–every one of them carrying the potential of the berserker curse. Time to start planning a lot of training exercises. Only two riders? She’d sent three out. Casora walked to the front of the tent and cursed under her breath. They were her scouts all right, but whatever orders they brought had better be end-of-the-world urgent. There was no other excuse for abusing the horses like that. Then she realized that Varana’s braid was redder than it should be–blood red. Casora took off running. So did others from all parts of the camp. Varana fell off the winded mare just as Casora reached her. “Report,” she said, but more quietly than her usual command voice. Ravan ran up with a water skin and Casora held it so Varana could drink. “What happened?” She handed the skin back to Ravan and nodded towards the other scout. Casora looked down at her empty palms. Her chest was too constricted to breathe. Astraea invaded? It wasn’t possible. Even the Deathless, really only warriors in training, had never been defeated. How could Astraea have been conquered? Astrid is too shy to even talk to the boy she likes, so naturally she’s the one the Norse gods choose to lead a bunch of stubborn Norsemen–using just stories to inspire them. Astrid leaned into the freezing wind, staggering down the beach hunting for driftwood to feed their meager fire. She kept one eye open for anything edible. The gale felt like needles of ice penetrating even the thick white bear pelt she wore as a cloak. The wind swept up the fjord straight off the icy sea, funneled by the steep hills on either side. Astrid paused to take shelter for a few moments under a rock overhang that blocked the gusts. With nothing to hunt for, she let her mind drift, retelling to herself some of the stories her grandmother used to tell her. It was almost as good as sleep to take her mind off her hunger and keep her company. From her shelter, she could see one of the many islets in the fjord, one that would be a seal rookery later in the year. That made her think of the stories about selkies, sea creatures that could shed their skins and take human form once a year. She pictured them dancing down there on the beach, as the stories described. In her mind, the leader looked a lot like tall, red-blond Torolf. The stories said that if a human stole the seal skin while its owner was in human form, the selkie could be compelled to stay on land as the wife—or, she supposed, husband—of the thief. Pity the stories always ended with the selkie finding the stolen skin and returning to the sea. She sighed. If it were only that easy. Why would Torolf ever give her a second glance if she could never manage to say a complete, coherent sentence in front of him? Well, Torolf wasn’t going to magically appear on the beach. She might as well continue her search. She had to go farther and farther afield to find anything these days. Woohoo. I’ve loved both of these books! Your books sound like good reads. Love the covers! Impressed with your very professional covers! I haven’t read your books yet, but they look awesome and I hope to in the near future!